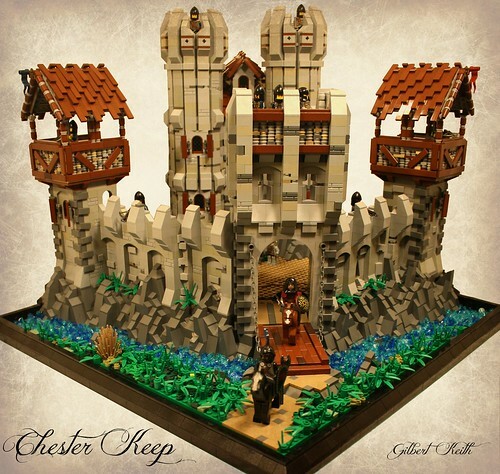 Chester Keep, a photo by Gilbert_Keith on Flickr. 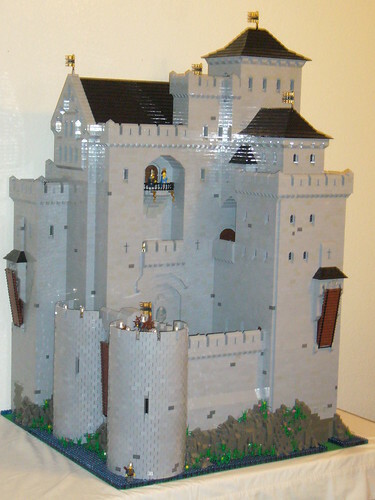 I really like the look of this castle by Gilbert_Keith on Flickr. Darkmire Mill, a photo by - Derfel Cadarn - on Flickr. 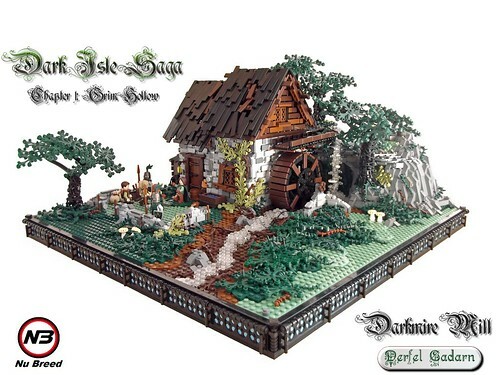 Derfel Cadarn presents his usual amazingly detailed build that is a sight to behold! The dark and weather beaten feel is superb! Recently, a friend of mine posted a link of my Musk Ox instructions on a Flickr group. He also posted a picture of my Elk, and said... "I hope you can figure out how it's made from the picture." First I'd like to start with the Billy-goat. This animal is pretty simple. first you'll need a 1x1 brick with studs on all sides, and one normal 1x1 brick placed on one side. Next add three 1x2 grill plates as shown. Next add a 1x1 round plate to the end. then attach a pair of binoculars on the 1x1 round plate. And that's it for the goats! Next i'll show you how to make the deer or I personally call them "Doose"
First you'll need two 1x1 bricks with studs on all sides and one 1x1 Technic brick. Then you put them together as shown. Next add a 1x3 plate on the side. Then add another 1x3 tile to the other side and a 1x1 slope (cheese slope) on the front. Next I'll add a 1x4 plate to the top. Then add a cheese slope where shown. Next add a 1x1 plate and a 1x1 round plate top, on the front, as shown. Each pair has a jumper plate followed by a pair of 1x1 rounds, a pair of 1x1 cones, and another pair of 1x1 round plates on the end. Then attach them as shown. Finally the head! I've always used a Brickwarriors Minotaur head and a set of Brickwarriors antlers. I've found these much more effective then brick-built heads at this scale. Hope this is useful, thank you for viewing!